Las Vegas area locals and tourists alike share their thoughts on the new Downtown Las Vegas Gateway sign. The sign was officially put into service on Aug. 7, 2018. The gateway into downtown Las Vegas sign just north of the Stratosphere was officially lit up Tuesday night. 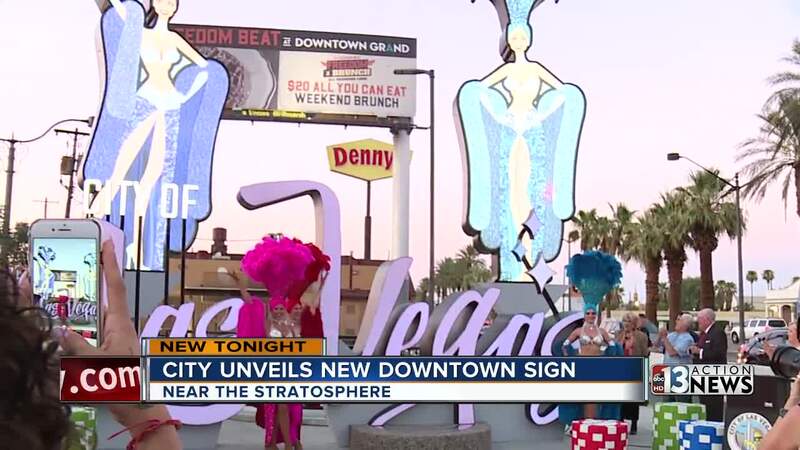 The new sign features iconic Las Vegas showgirls and marks the entry into downtown Las Vegas. The pair of 26 foot tall showgirls now light the way for visitors heading northbound into downtown. 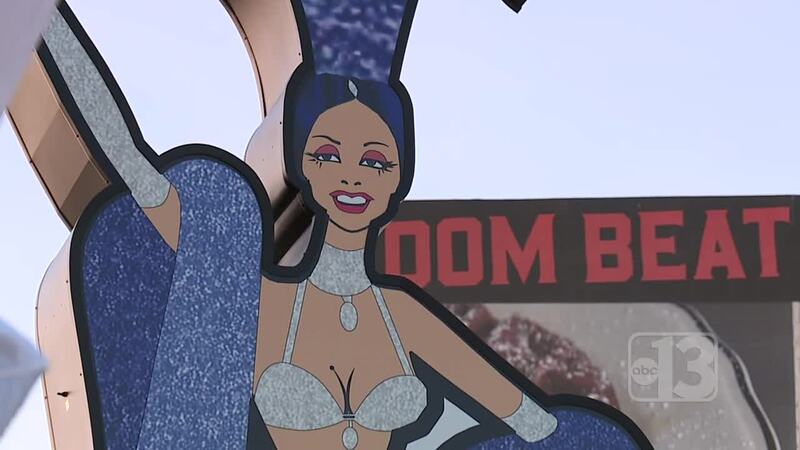 The display replaces another sign that resembled the famous Welcome To Fabulous Las Vegas sign at the south end of The Strip. It was knocked down when a driver crashed into it two years ago . "They didn't realize what they were leaving behind. Because now what we have,those of us who stayed and those of us who come back are being really, really rewarded," said Coffin. "Because it's a culture reminiscent of the old small town Las Vegas." "We saw the renderings and now when you see it in person it's just beautiful. This is a great gateway into downtown. And heck let's remind the world that this is where the Strip began."